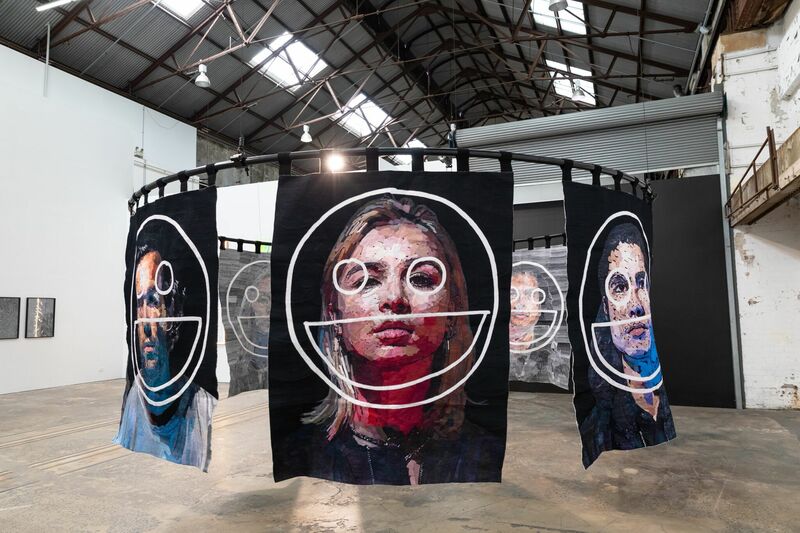 Sydney Contemporary‘s September return to Carriage Works saw more than 87 galleries exhibit, with the work of over 300 artists from across Australia and around the world on show. Finally held on ‘annual cycle’, an objective founder Tim Etchells says was “the plan” from the fair’s conception, the booths were curated free from any concept or overall theme; the only mandate being that it was all great art, performance and installation. Held over five days, Sydney Contemporary generates the highest amount of art sales in the country (about $40 million dollars since the first event was), and is an opportunity for art workers, collectors, buyers and the general public to experience ‘art’ as it is being made right now—with a glass of sparkling in hand. 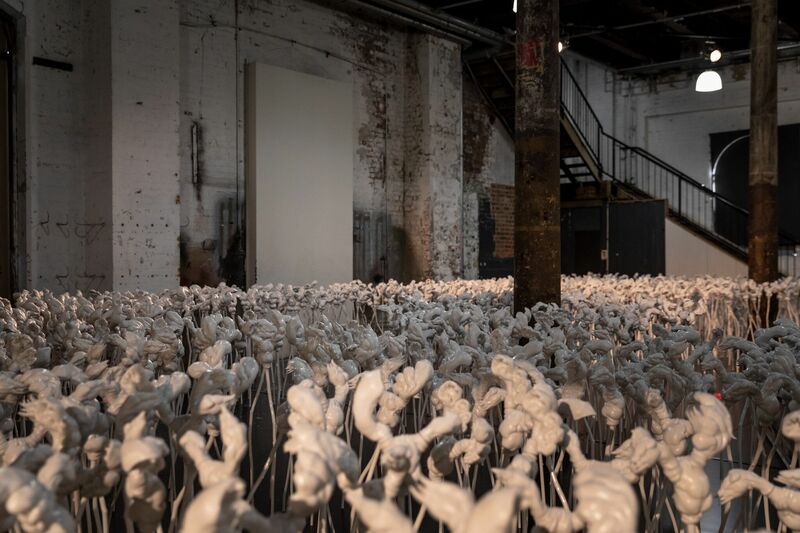 Art fairs are ultimately marketplaces, meaning that everything on display is for sale; at prices ranging from modest ($400AUD) to conceited (5 million AUD), which was the price tag on Pace Gallery’s giant blue and white DuBuffet sculpture. “Sydney Contemporary is my favourite fair in the world,” says Tim. “I have a real fondness for it. I love the venue, and it is an amazing time of year, that makes the most amazing backdrop for people to see the art.” Fair director Barry Keldoulis doesn’t like to use the word highlights, as “all of the galleries put their best foot forward this year.” Personally, I couldn’t help but note a few. 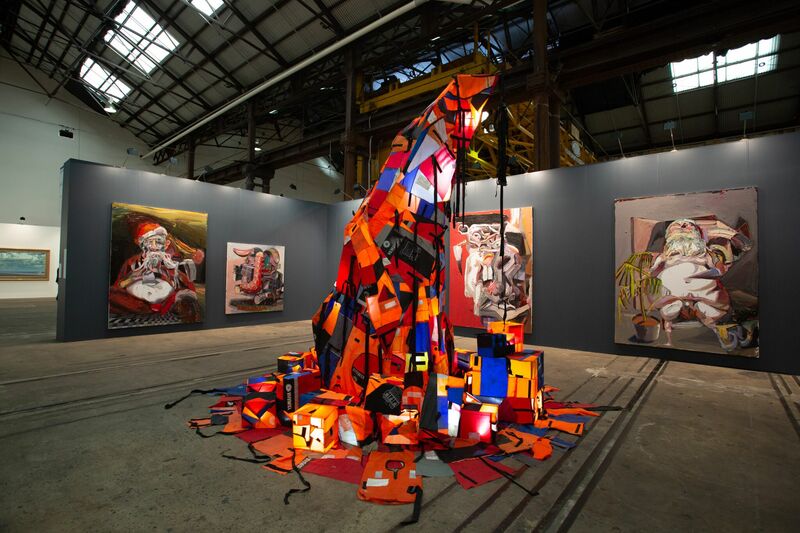 Ben Quilty’s grotesque paintings of naked beer-drinking Santas (the artist’s visual metaphor “for the way straight white men are behaving in the western world at the moment”) hung across the walls at Tolarno Gallery, surrounding a tall red and orange ‘Christmas tree’ made from thousands of discarded refugee life jackets, which lit up in flashes to spell out SOS in Morse code. 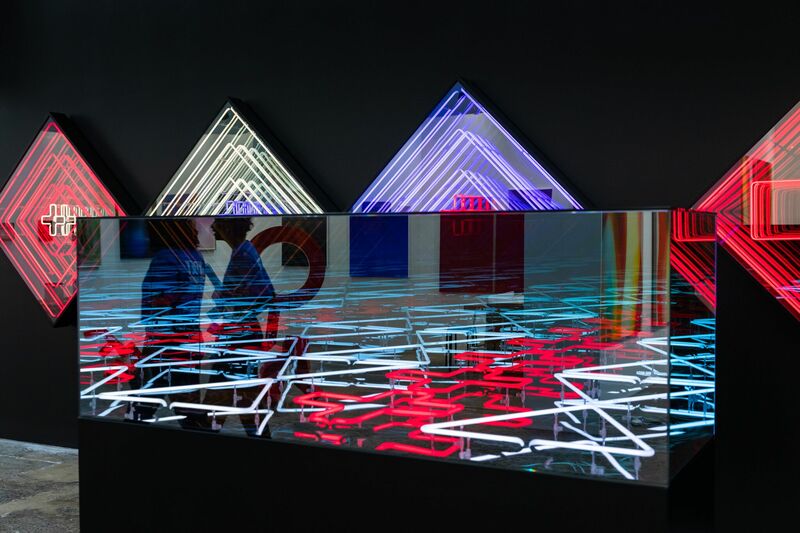 The aluminium, neon and mirror works by New Zealand artist Robert Janke had me wishing I was one of the art collectors who were there to buy art, rather than write about it. Two mesmerising neon crosses guarded the fair entry—a work titled KAOKAO, that references traditional tukutuku patterning, hakastance, and signatures on the Waitangi Treaty—and several more works, equally as captivating, accompanied him in his booth with New Zealand Gallery PAULNACHE. Something to look out for next year are the Private Collection tours, part of the VIP program, that opened up the famed and undoubtedly-art-filled homes of Wendy Whitely, Tracey Emin, and James Emmett and Peter Wilson. 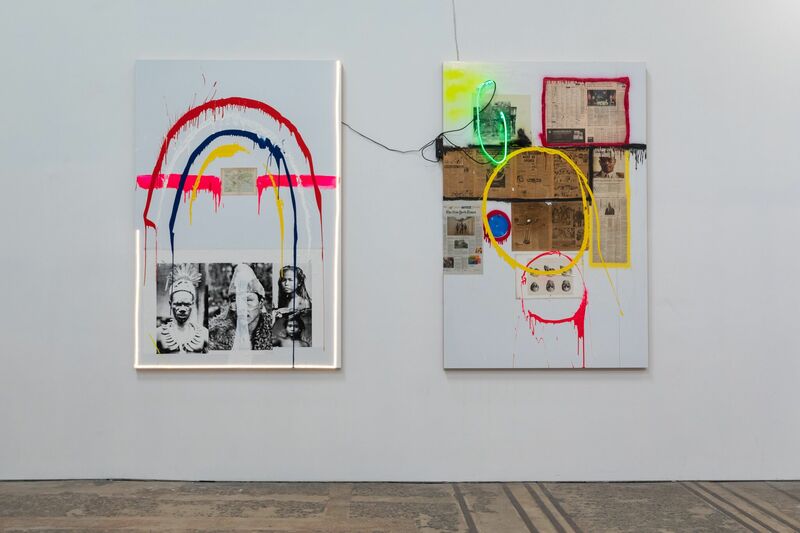 Sydney Contemporary definitely showed up for 2018, and next year promises more yet again.